Hold your nose, folks, and stay out of the river and off the beach. Your Florida neighbors likely won’t have to take better care of their septic system than they have in the past. 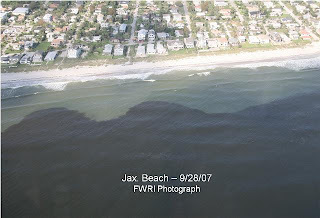 The Green Monster and Red Tide will continue to run free in Florida should some in the 2011 legislature have their way. Oh, and don’t expect to always get clean water from your well. The landmark bill passed and signed into law last summer has encountered a heavy backwash from folks unwilling to pay their way and keep your neighborhood and your waters clean. The push to weaken septic tank legislation approved last spring by lawmakers is dividing the usually clubby Florida Senate . . . 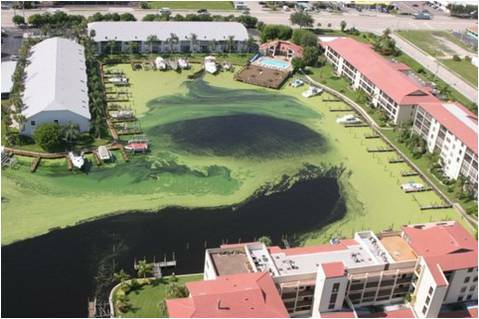 The wide-ranging bill is designed to protect Florida’s natural springs and waterways which are often threatened by septic tank overflow. Beginning in January, the legislation would require inspections of the state’s 2.6 million septic tanks once every five years. . . .
Why not just do what MOST state's require ???? Somebody here in Florida is handing you a line, as there is NO WAY it should cost $230 to have a Septic Tank pumped, as the article above states. In other parts of the country, Septic Pumping companies make a good living doing the job for $50-75. And, no way it should cost $500 for this "inspection" the article talks about, as nobody has set standards for exactly what this "inspection" entails. There should, however be a law mandating that tanks get pumped out on a regular schedule. When I moved down here, I was dumbstruck to discover nobody ever had their tank pumped out!! Cost of inspections would devastate city, commissioner says. It really all comes down to money vs. safe/healthy communities: Developers and homeowners want to avoid a cash cost. Lovers of Florida want to have clean waters, for living and outdoors life. Can we save Old Florida or do we give up on paradise? ﻿﻿ What can you do?